All of our products are hand crafted to the highest standards, using traditional techniques and the finest materials. 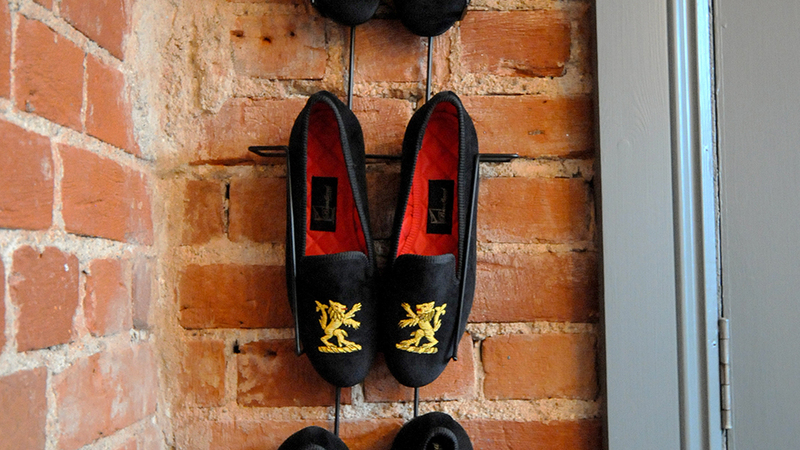 We are only too happy to help you with any sizing questions to ensure your new velvet slippers offer that perfect fit. Using the finest leathers, velvets and satin quilt, each and every pair of hand made slippers and house shoes are expertly cut out and lasted by hand using traditional established methods to the highest standards. 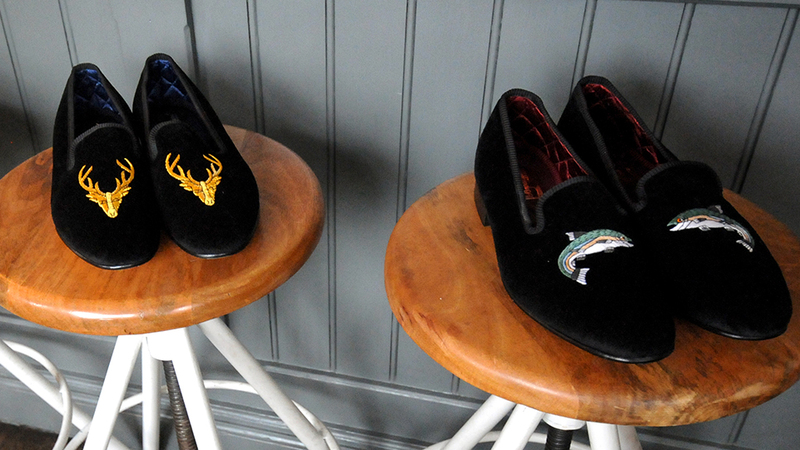 Broadland Slippers offer velvet slippers with hand embroidered motifs in various styles which are meticulously created using gold wire, silver wire and coloured silks. Available motifs include monograms, heraldic designs and family crests. We can also make slippers with your own design. My slippers have arrived and in summary: they are a dream. In addition to the beauty and the fine quality craftsmanship, they fit me like a glove. Thank you. I love them. I will recommend you to my friends and family and soon order another pair! Thank you so much for an excellent job! They fit perfectly and are beautifully crafted. Hi guys. Over the moon to have these bad boys arrive. Extremely happy with the finished product. Many many thanks again. They are fantastic! I really love them and I will wear them in some very special moments in my life. Thank you so much, I just received them and they are fabulous! You did an amazing job with the likeness of the dog. Thank you so much! They are absolutely beautiful. You nailed it, I’m elated. 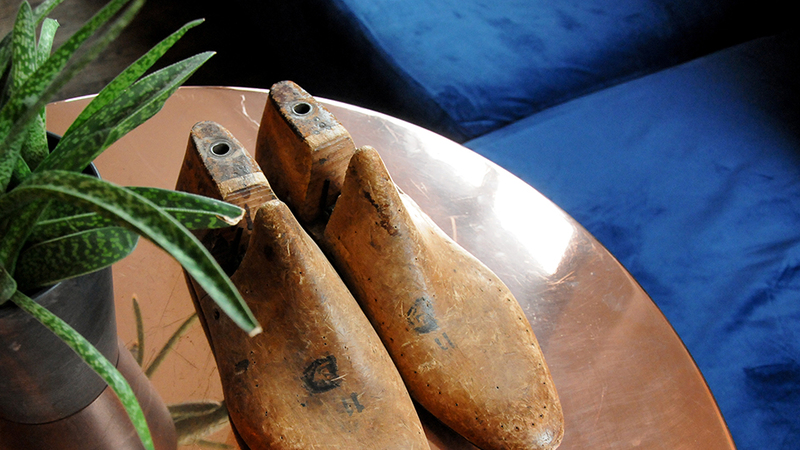 Broadland Slippers specialise in elegant and timeless footwear. 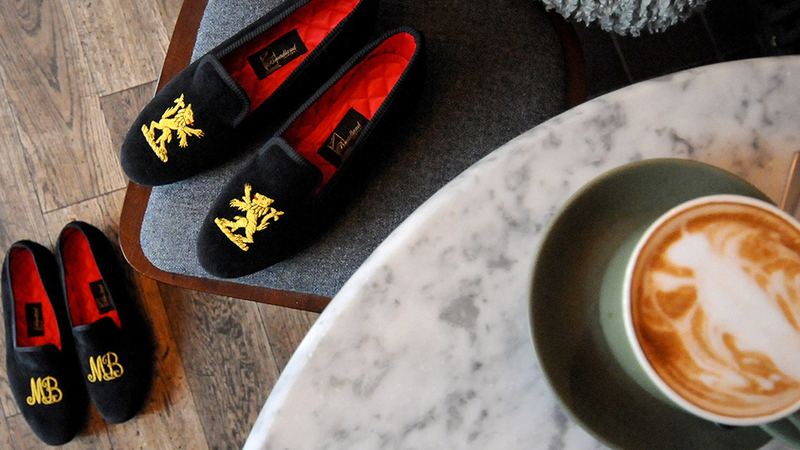 From house shoes to slippers, the designs can be trusted to hold their style. Crafted using time-honoured techniques, each piece of footwear from Broadland Slippers is produced using the finest materials.